Happy birthday and many thanks for years of pleasure! I can’t let 23rd April go by without raising a glass*** to Saint Immortal Bard on the occasion of his birth (and death) day. I’m sure there are many more…?? An imaginative confection of sheer delight…………and satisfyingly plausible, even if it isn’t the truth, whole truth and nothing but! This book by Robert Winder managed the neat trick of swallowing me immediately into its Jacobean depths right from the start, so that I resented interruptions to reading, whilst having me whimpering faintly once I realised the end was looming ever closer, and I would have to peel myself away from 1613 and re-enter time 400 years later. Winder has supposed Shakespeare comes out of retirement (we know he retired back to Stratford some good few years before he actually shuffled off this mortal), comes to London to see a revival of Richard III and gets an official offer – one of those scary ones which cannot be refused, due to the power of the one who offers – to write a glorifying spin play on Henry VIII. An offer which ultimately comes from the King, James 1 (keep up!) whose line depends on that earlier Tudor marriage of Henry VII’s daughter Margaret, to Scotland’s James IV, so despite the bad relationship between Mary Queen of Scots and Elizabeth, (putting it mildly) James VI of Scotland/James I of England was also in favour of a pro-Tudor PR exercise. Now Winder is NOT one of those who thinks Shakespeare was not Shakespeare but was Edward de Vere, Earl of Oxford, or Bacon, or Marlowe, or some other. In fact there are several dismissive witty nudges and thumbed noses delivered to the Shakespeare is not Shakespeare brigade. Winder is firmly of the camp of Shakespeare, but it is an enhanced Shakespeare (a perfectly plausible concept) – in that it takes account of the fact that Shakespeare was not JUST our beloved playwright but was also an actor, and, moreover, a member of an acting company. So…..in a neat move, which makes a lot of sense, looking at Shakespeare the actor playwright, he proposes a company collaboration, in a way that seems absolutely plausible and natural. The playwright actor in rehearsal, the company of actors in typical fashion, throwing ideas, interpretations, improvisations, starry demands into the ring. An I-cant-say-that-but-I-think-I-should-say this ferment of trial and error collaborative creativity, with Shakespeare the writer-actor picking up the splurge of creative fire, finding its shape, honing it, giving it form and brilliance. THIS to my mind may have been precisely IT. Anyway – into the delicious actors, compatriots at work we have the darkness of Jacobean England, post-gunpowder plot, with the unpopular King suspecting subterfuge, and treason behind every shadow. We have a state militant, searching out dissent, beheadings, imprisonings – and a Shakespeare, in Winder’s book, cognisant that his history plays were spin for the party that won, deeply uncomfortable with the Richard III propaganda play. In Winder’s book, Shakespeare the private, complicated, subtle human being (which we know he was because of the depth of psychology in his plays) is secretly of the what-if-Richard-wasn’t–the-one-who-killed-the-Princes-in-the-Tower persuasion. In other words – he subscribes, despite the propaganda he wrote, using sources which were of the Tudor spinning (Holinshed, More) to the theories which were later to come to the fore. Those theories were famously popularised by Josephine Tey in her magnificent novel Daughter Of Time. So we have – historical mystery, theatrical and creative gloriousness, and a pretty cast of characters assembled. AND we have an unpublished new ‘Shakespeare’ play by Robert Winder – Henry VII – not the play he has been commissioned to write at all, but something subversive and dangerous. The bulk of this stunningly enjoyable romp is the making of the play, and then we have the play itself, privately performed. Of COURSE its not fully glorious Shakespeare, there are snippets and ideas from existing plays, Shakespeare stealing from himself – but the reason it isn’t perfect high Shakespeare is also part of the plot. 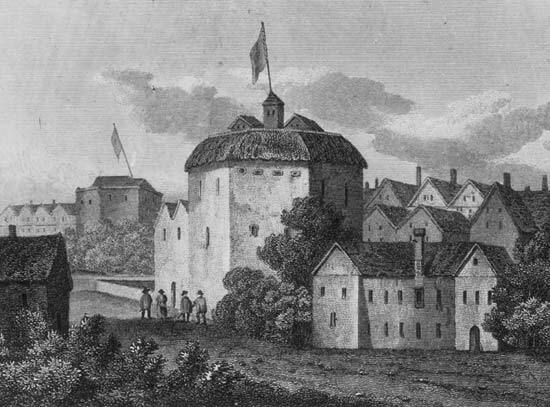 There are a couple of ‘young pretenders’ who are hauled in to join the King’s Men player company – a young scribe, and, perhaps more surprisingly, John Donne’s daughter, which seemed a bit implausible as of course at this point women were not yet allowed on the stage – however, reading his afterword with information about ‘the real’ characters, there is historical information which shows there were, at least, the possibility of collision of worlds and lives. My only black mark against Winder, is that he does besmirch a particular real character, Sir Edward Coke, one of the founding fathers of the English legal system, making him responsible for actions which it is highly unlikely he ever took, as he was a champion of opposition to the Crown’s haughtiness, and a proponent of the assertion of the liberties of commoners, rather than a sinister agent of the Crown itself. Winder himself explains this, in both foreword and afterword. I could not quite understand why he didn’t invent a character to carry out the unpleasantness he made Coke responsible for. This is witty, informative, fun, and wears its undoubted excellent research lightly and well. 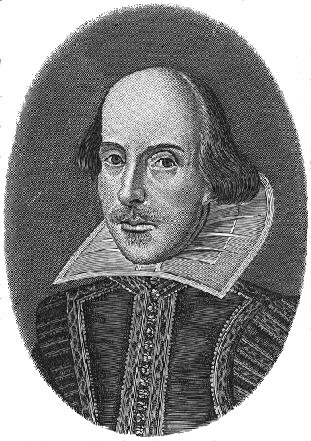 It will of course be particularly enjoyed by those who love the Bard, know the plays, and can deliciously savour the fun Shakespeare, and the actors, have with the previous works – and the stealing from previous plays to recycle into the new one. I got introduced to Jude Morgan through the very wonderful The Taste of Sorrow and was swept up by his ability to write what I suppose must be called ‘fictional biography’. In that earlier book, he clearly steeped himself intensely in the writings of the Brontë sisters, and in the known biography of their family, and he produced an astonishingly beautifully written, creative piece. This felt both true to their literature and what we know of their lives, but also expanded by a superb narrative and empathetic imagination. I felt my understanding of the books and the lives had been enriched. In that earlier book, we were dealing with a more nearly modern world, where facts can be checked, less than 200 years ago. This time, Morgan has freer range with creative imagination, as the facts of Shakespeare’s life are far fewer, though the canon of work by which the man is also revealed, is much larger. And it seems to me that what Morgan has so clearly done is to say ‘by their works, you shall know them’, and has steeped himself in the work, to reveal an idea of Shakespeare the man. Which seems enormously right and proper. For me, this was an utterly successful book. I spent some few days after reading the book and letting it settle, wishing I could meet Shakespeare, but realised, with a wry smile, that of course I can, by re-reading the works. Morgan, a beautiful writer, does well with these fictional biographies of other beautiful writers. 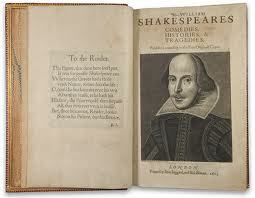 Phrases from the plays and poems are scattered, very naturally, within the text. Shakespeare the actor; Shakespeare the writer. Both acts which if properly done, require a kind of negation of the self and the ego, so though invention must come from the actor or the writer’s sense of self, there must be a supreme and non-judgmental ability to get inside other – however virtuous or vicious that other – and inhabit them from within themselves, not from a sense of the actor or the writer commenting on their creation. Magnificent book, Mr Morgan. Not least also for the literary criticism element – but from showing how Shakespeare, Jonson, Marlowe et al as people, give rise to who they are, as writers. Morgan illuminates the men by their writing, and it is the writing which illuminates the men. He (Morgan) has a brilliant, almost psychoanalytical understanding of human complexity, and how to allow each person to show their story. And, not least, is the fleshing out of an even more shadowy figure, whom history has dealt with rather unkindly – Anne Hathaway. With no works to leave behind her, Morgan imagines just what might have made the creative luminary fall in love with the older woman, who was then left only his second best bed, in Shakespeare’s will. Or Will.